Researchers at the Lieber Institute are working to define the context where genes relevant for psychiatric disorders and brain development interact. Human beings do not grow and live in a fixed context, as in a controlled experiment. Individual experiences, with their uniqueness and heterogeneity, may explain why common genetic risk factors do not necessarily lead to psychiatric disorders, as they instead mostly affect susceptibility to the disease. While adding one more factor, the environment, to pathogenic mechanisms may increase complexity, it also opens a larger window of possibilities for disease prevention and treatment. The intrauterine environment represents the first stage – or the backstage – of brain development. Early life is also a period of high plasticity, when a wave of fine-tuned changes in gene regulation mechanisms flows into the whole body. What happens at this moment, while not being conclusive, may later affect susceptibility to adult diseases. Complications during pregnancy, labor, at delivery and early in neonatal life, are indeed a common risk factor for neurodevelopmental disorders, like schizophrenia. At the LIBD, we have developed collaborations with research groups in USA, Europe and Asia, to evaluate the impact of obstetrical adverse events on independent samples of affected and unaffected individuals. The focus of our study is investigating whether the environment where brain life moves the first steps modulates the association of genomic risk with psychiatric disorders and other outcomes related to neurodevelopment. By analyzing clinical data and gene-expression datasets, including placental datasets, we aim to detect molecular mediators of gene-environment interaction relevant for psychiatric disorders. As individuals experience dynamic and different environments, their genes do not behave like fixed entities with unchanged levels of expression; they are instead flexible systems responding to a variety of contexts. At the molecular levels, we are also studying divergent RNAs, a class of transcripts contributing to a large amount of noncoding RNAs expressed in transcriptionally active cells. They might provide a compelling mechanism for the fine-tuning regulation of protein-coding genes, essential for brain development and activity. We are therefore investigating their relevance for psychiatric disorders, by combining post-mortem data and cellular cultures, to study their role in defining the molecular context where candidate disease genes work. Lastly, we are studying suicide, an alarming phenomenon that has been steadily increasing in the last 15 years against the backdrop of generally declining mortality. Combining next-generation postmortem brain data analyses with a precise classification of suicidal methods, we are working to detect novel genetic signatures associated with suicide by violent means, with potential preventive and therapeutic applications. By segregating the ‘violent method’ attribute within the suicide sample, putting emphasis on aggressive individuals with a higher risk for suicide, and with higher lethality, we expect to enhance the chances for novel discoveries. 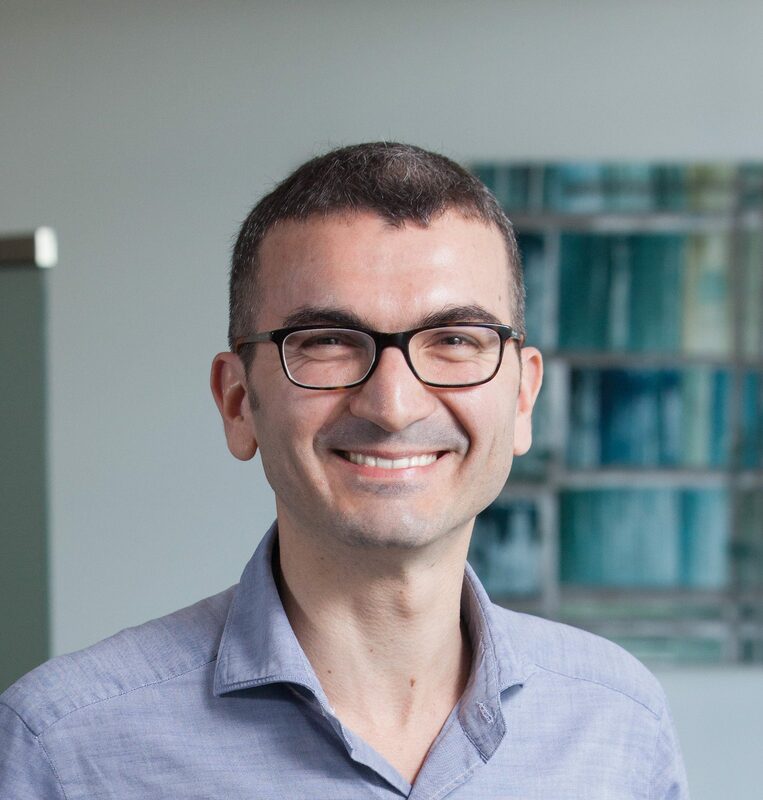 Dr. Gianluca Ursini’s lab is interested in how early-life events, such as obstetrical complications, modulate the relationship of schizophrenia with genomic risk.